Are there any special requirements for installing active solar water heating? Yes, you'll need a - more or less - south facing roof, and planning permission where necessary. Although permission is granted in the majority of cases, you should always contact your local district or borough council and speak to a planner before proceeding. Will it work with my current set-up? Yes, it will dovetail with most hot water systems, and with the assistance of solar water heating systems, your boiler fires less, reducing wear and tear and saving on maintenance. This will save you money, as will using up to 30% less carbon fuel which in turn reduces CO2 emissions by nearly 1 tonne a year. It is estimated that the boiler will last 15% longer due to less use. This can equate to a further two and a half years of life from your boiler. Prices start at around £2,000, and a typical solar panel system for hot water in a 3 or 4 bedroom home with 3,4,5 occupants and average hot water usage will cost around £4000 plus 5% VAT. The average price for domestic and other small-scale solar PV systems under the Government's solar PV Major Demonstration Programme (MDP) has been £6,000 per kWp installed. 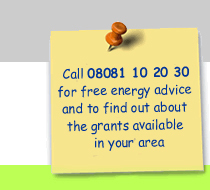 An approved bolt-on 1kWp domestic system can be fully installed from approximately £3,500, including MDP grant funding. How do I find an approved installer? You can search a database of registered installers on the Clear Skies programme website at www.clear-skies.org. You can also search for a list of British Photovoltaic Association (BPA) members on the BPA website at www.pv-uk.org.uk. Can I install a ground-source heat-pump system for my home? 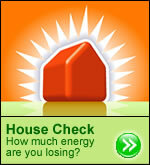 Yes, but you will first need to find out whether your property is suited to a heat-pump system. You will also need to consider other factors such as the initial investment costs. A good starting point is to identify an approved installer operating in your area who can then advise you on whether a ground-source heat-pump system is suitable for you. 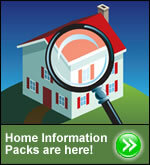 You can search a database of registered installers on the Clear Skies programme website at www.clear-skies.org.